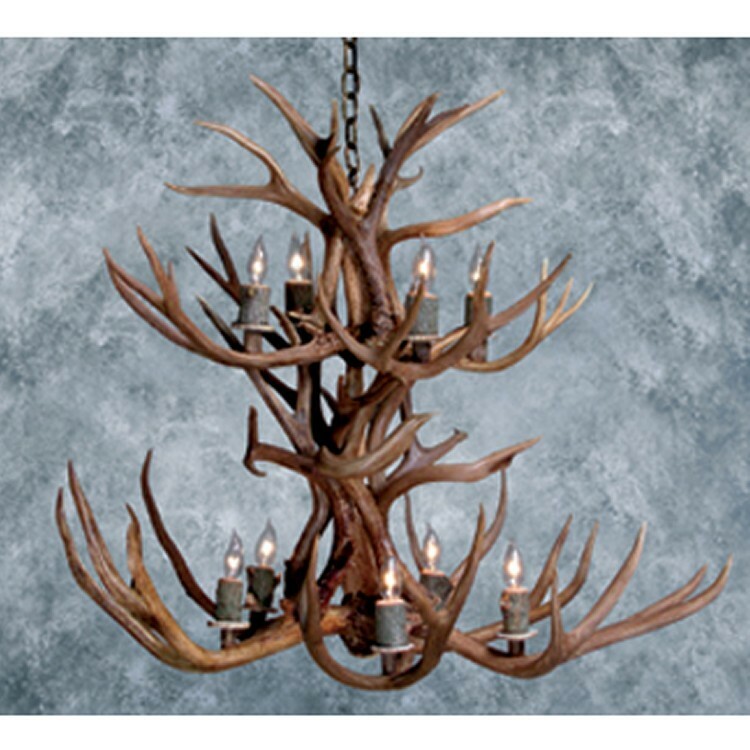 The mighty Mule deer lends his elegant antlers to this impressive two tier chandelier. 10 lights nestled in the sweeping curves of the natural antler fixture. 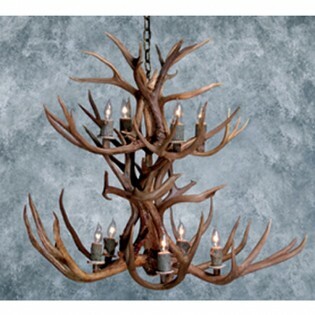 The mighty Mule deer lends his elegant antlers to this impressive two tier chandelier. 10 lights nestled in the sweeping curves of the natural antler fixture. Quality craftsmanship is apparent in the attention to detail, internal wiring and antler holders and drip dishes are standard.